Meet VIPS Volunteer Spotlight, Alexis Jeanpierre! 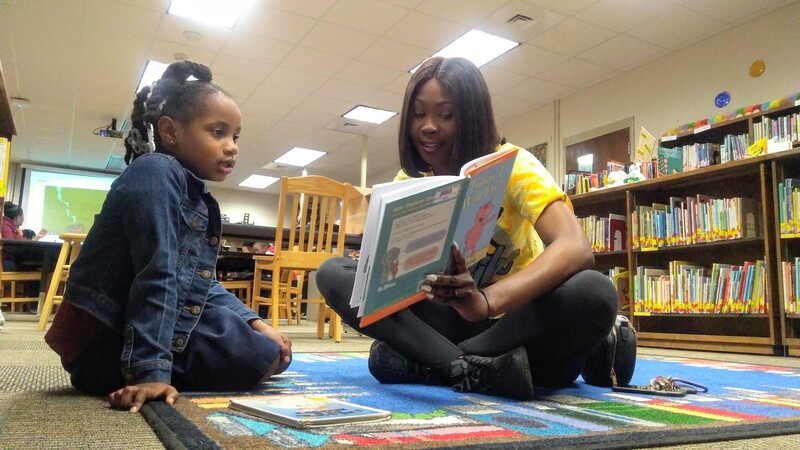 Alexis started volunteering as a Reading AND Math Friend in January of 2019, and in that short time, she has already recruited four of her friends to become Reading and Math Friends at Ryan Elementary! Alexis herself heard about VIPS from a friend at Southern University, so it’s clear that she understands word of mouth is our greatest recruitment tool. Alexis loves her Reading Friend and Math Friend like they’re her little sisters. She admires her students’ perseverance; even though reading and math may not be their strongest subjects, they never give up. Even though she’s a student at Southern University, Alexis makes time for these two little girls by volunteering twice a week. As she puts it: “People make time for what they want!”.